The concept is simple. 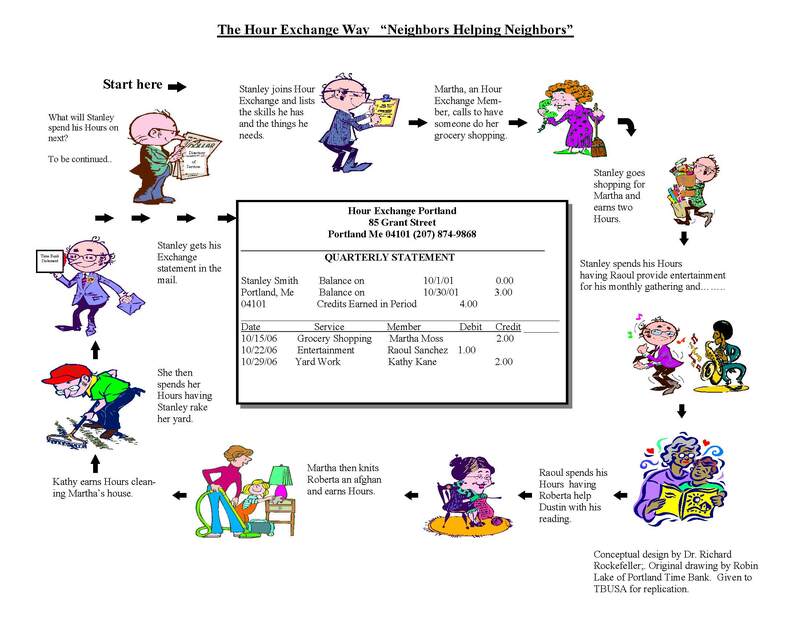 Help a neighbor and earn credit for each hour of your service. In exchange, you can spend your time credits on any of the hundreds of different services that other members offer. The Time Bank empowers individuals, organizations and businesses to help each other meet their needs cash free through one-to-one exchanges and group projects. Their activities build and strengthen our community. Here’s a link to a great intro to Time Banking basics at TimeBanks.org.